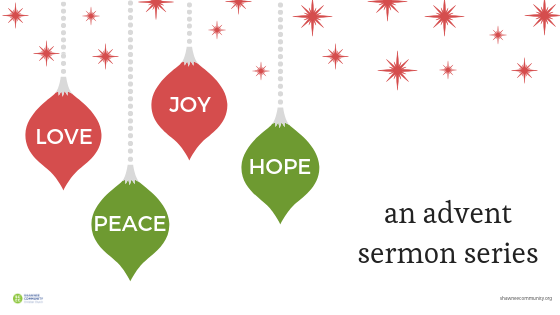 Join us as we begin an advent sermons series. Over the next four Sundays of advent we will talk about Hope, Love Joy and Peace. Think of someone you could invite and send a text, an email or a Facebook message today. It’s also donut Sunday! See you at 9:00 or 10:30 am.